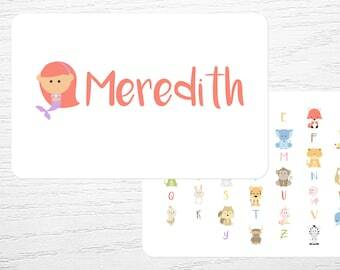 Looking for the perfect gift for a new mom, baby shower, or toddler? 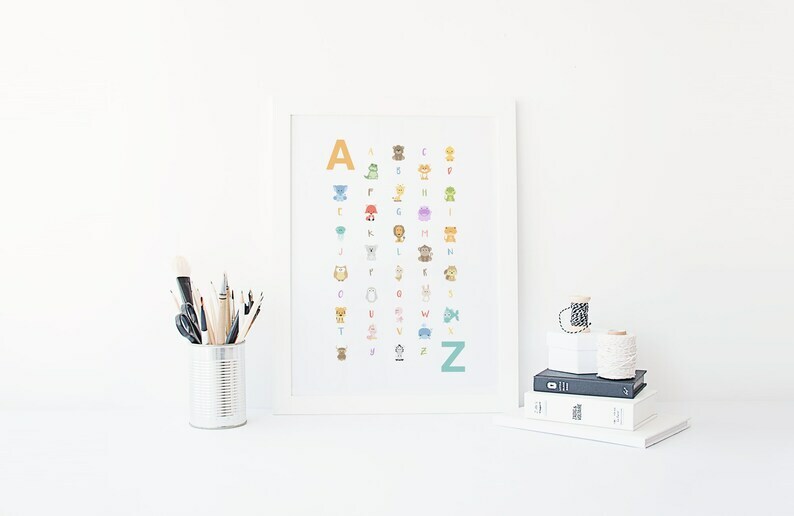 This Animal Alphabet Poster is the perfect mix of education, fun, and art. 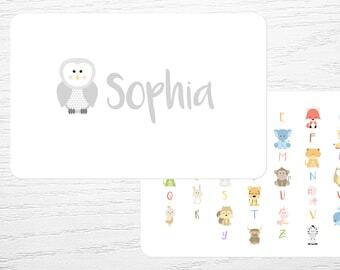 Each animal has been hand illustrated from the GoodnightFox.com collection. You can get this poster printed in the color version or the black & white version perfect for the modern monochrome nursery. Art is printed on white paper card stock and mailed with chipboard in a stay flat mailer for safe shipping. These are great little cards. My grandson loves them. Very quick shipping, too.